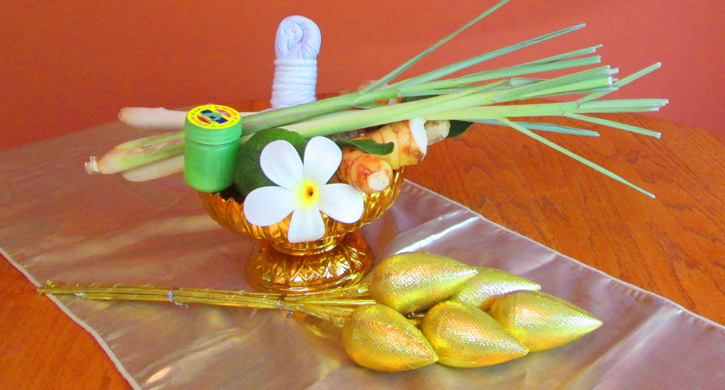 Thai Herbal Massage utilizes herbal medicine balls that are heated in a steamer and applied directly to the skin along the muscle lines. The herbal medicines permeate through the skin to effectively relieve relieve sprains, strained muscles and tendons, and stiffness. 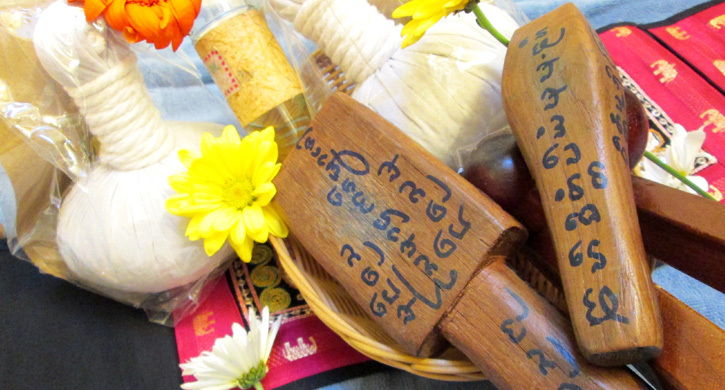 Tok-Sen is a therapeutic technique of Thai Lana massage (Northern style) and uses special wooden hammers that are lightly tapped along the energy lines and special points of the body to release blocked energy channels that are associated with tiredness, soreness, and numbness. These conditions may be caused by diseases, such as rheumatism, or inactivity, such as sitting in one position for extended periods of time.  We will combine both of these techniques in a customized session to relieve soreness, stiffness, strains and to unlock the blocked energies in your body. 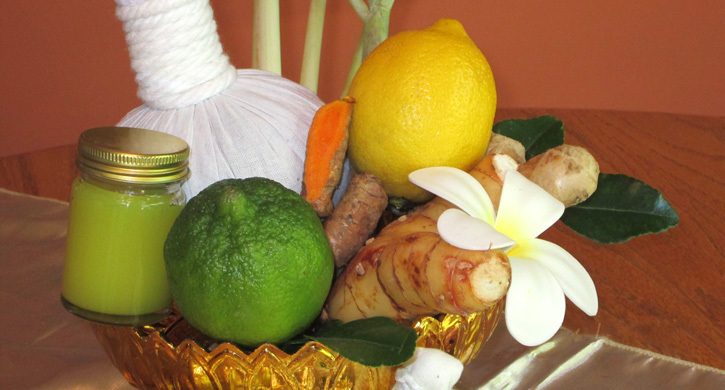 The Thai herbal compress stimulates blood circulation in the affected area, improves the immune system, and produces a relaxing and invigorating effect on the body, emotions and mind. 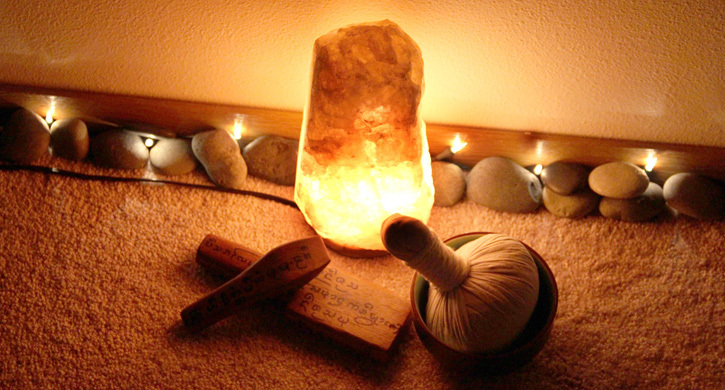 Tok-Sen is especially effective in relieving the symptoms of sore tendons, pinched nerves, and numbness.